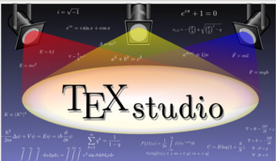 TeXstudio is a free, open source Integrated Development Environment (IDE) for writing LaTeX code. It lets you easily write LaTeX applications and provides features like syntax highlighting, code folding and spell checking. It is a cross platform application and works flawlessly on all popular operating systems. Here are some of the noteworthy features of this application. It provides more than 1000 mathematical symbols, so in this way your LaTeX scripts can be written easily. It provides multi cursors and makes navigation throughout your scripts easy. It comes with Bookmarks and Link Overlay features. It supports dragging-n-dropping images and pictures to your scripts. It provides excellent table formatting tools. It comes bundled with very interactive grammar, spell and reference checker. First of all make sure to add TeXstudio PPA to your Ubuntu package manager, launch your system terminal and run following command to add it. Now run following command to update your package manager. Now run following command to install TeXstudio. Congratulations, installation is complete for TeXstudio is complete now. Launch it from Applications menu. There you go, start using this awesome application. It is a lightweight application and does not consume any high amount of system resources. Installation and usage is pretty easy, try it out today, you should start loving it for your LaTeX coding. what are the terminal commands for it.